The French army is well-enough known, and the important duties the Swiss Guardsmen undertake in protecting the Pope are familiar to all. 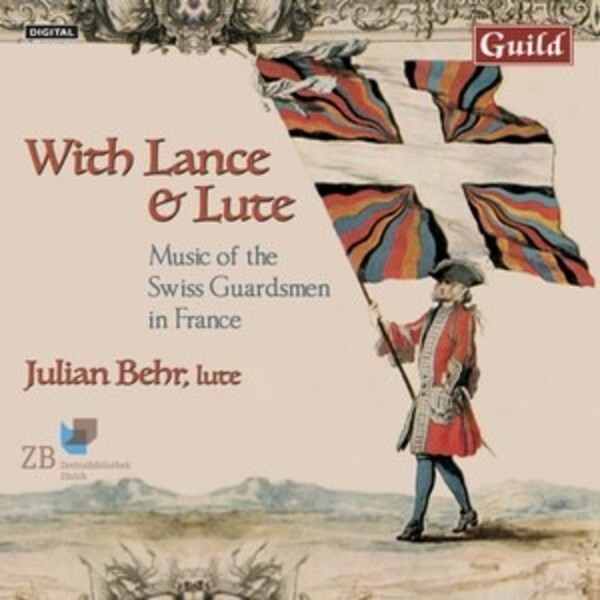 But the music they composed and played for their own periods off-duty, and to entertain their French military colleagues centuries ago, has been completely unknown to the general public, but owing to the assiduous investigation of the gifted and much-admired lutenist Julian Behr, we can - through his outstanding new recordings - experience this music at first hand after almost 400 years. It is a revelation, shedding fascinating light on a greatly significant aspect of music for this wonderfully expressive instrument.